Alright, so now we understand the Greek letters as symbols of many things: zodiac signs, planets, elements, numbers, body parts, and any number of gods, images, and other concepts. All this is in addition to their use as instruments of written language as glyphs and of spoken language as sounds and names. While we’ve come a long way, we’re still only setting out our basic tools for further analysis. We know of the Greek letters as units, single entities representing a single set of symbols. To use them, we have to start seeing these letters as relationships, transferring and communicating information and power between other units. It’s like a single word, such as “my” or “the”, being understood, but without meaning until it’s used in a sentence when it indicates relationships and distance between and among other concepts. Within a word, letters act as relationships between the letters before and after it, but is there anything else bigger that we might have the letters act as a relationship between? Bless us, divine number, thou who generated gods and men! O holy, holy Tetractys, thou that containest the root and source of the eternally flowing creation! For the divine number begins with the profound, pure unity until it comes to the holy four; then it begets the mother of all, the all-comprising, all-bounding, the first-born, the never-swerving, the never-tiring holy ten, the keyholder of all. By that pure, holy, four lettered name on high,nature’s eternal fountain and supply,the parent of all souls that living be,by him, with faith find oath, I swear to thee. 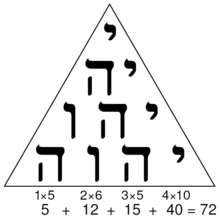 The point is assigned to Kether; the line to Chokmah; the two-dimensional plane to Binah; consequently the three-dimensional solid naturally falls to Chesed. In terms of the four parts of the body, it might be better to restate tetractys #9 above (according to the parts of the human) in Agrippan terms as the Mind, Spirit, Soul, and Body. These four parts of the human are that which links us to the divine (Mind, row 1), that which allows us to reason and intellectually understand the world (Spirit, row 2), that which feels and moves (Soul, row 3), and that which is moved and is felt (Body, row 4). It is by the unification and purification of these four parts of the body do we practice ascension through and beyond ourselves back to the One, but that’s another topic for another day. Suffice it to say that, through the cultivation and increasing of virtues in the four parts of ourselves, we ascend the Tetractys and the multiple parts of the world we find ourselves connected to. If you want, give the excellent Summary of Pythagorean Theology by Apollonius Sophistes a read in the meantime, since that’ll be a huge thing for us later on. The study and meditation of the Tetractys will become bigger and bigger later on, especially once we view it as a kampalic cosmic map much in the way that the Tree of Life functions for kabbalah and qabbalah. As yet, we’ll leave the individual units of the tetractys unnumbered and unmarked, letting the structure speak for itself. 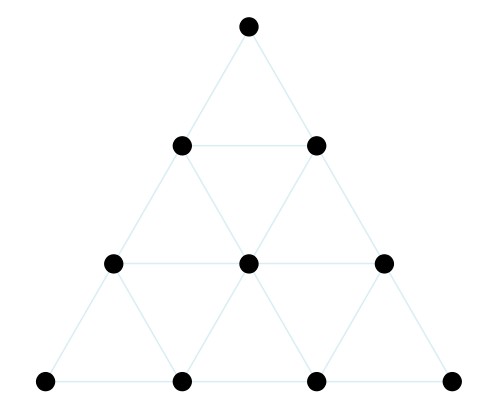 To let it do so, meditate on the structure and form of the tetractys, offering it the same devotion and glory the old Pythagoreans themselves would have done so. Hold the image in your mind, and relate all the parts of the cosmos to its structure: the fourfold nature of things resulting from a threefold harmony resulting from a twofold differentiation resulting from a single Source. To say much about the tetractys at this point would be premature, so I’ll leave it as an introduction on its own as a symbolic representation of what’s to come: first a seed, then a shoot, then a leaf, then a trunk. I do think you will eventually regret naming the system after the capital of Uganda, though. Oh wait, I get it: you are trying to make future “search engine shoot-out” features even more surreal. Carrion, then. And I did try to type a terminal sigma, but it boxed. ς like that.